Jiezhi Chen received his Ph.D. degree in the Department of Informatics and Electronics,University of Tokyo, in 2009. Then he joined the R&D Center, Toshiba Corporation, in 2010. He is currently a professor atthe school of information science and engineering, Shandong University, China. 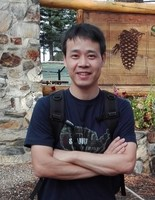 Hisresearch interests include the characterization and process engineering of nano-scale CMOS and non-volatile memory devices, with main focus on devicereliability physics. He has published many papers in journals and conference proceedings and acted as a reviewer of several international journals. His work on nanoscale devices and device reliabilities has been the leading author or the corresponding author for more than ten times in VLSI Symposium and IEEE International Electron Device Meeting (IEDM) since 2008. He served as a CRY Technical Program Committee (TPC) member of IEDM in 2016 and 2017. Now, he serves as a TPC member in Silicon Nanoelectronics Workshop (SNW) (2018~), International conference on Solid-State and Integrated Circuit Technology (ICSICT) (2018~), IEEE International Conference on Integrated Circuits, Technologies and Applications(ICTA) (2018~), IEEE International Reliability Physics Symposium (IRPS) (2019~),and International Workshop on Dielectric Thin Films for Future Electron Devices(IWDTF) (2019~).